For fleet-owning businesses, company vehicles are among their most prized assets. When you have a fleet of well-maintained, reliable vehicles at your disposal, the only thing you have to worry about is making sure that you manage your growing fleet properly. The following are a few pointers to help you out. Training your employees to understand and care for company vehicles is key to ensuring that those vehicles are used properly. The employees that are going to be getting the most use out of the fleet vehicles need to be conscientious about how they treat the car and how they respond to certain issues while on the road. They should definitely be encouraged to report things like misfires. Drivers should also know how to care for the car’s engine and mechanical parts by doing things like never driving while riding the brakes or similar damaging practices. Make sure your drivers have the directions and support they need while on assignment. This helps minimize idle time and keeps fuel usage down. Use a GPS – based vehicle tracking and navigation system to find the best routes and help your drivers reach their destinations on time. Tracking your monthly fuel expenses and checking out your drivers’ fuel purchase histories can reveal a lot about how much fuel you’re really using. Fuel cars let you determine where and when fuel purchase can be made (and who is allowed to make them), helping you keep your fuel usage under control. Technology is meant to make things easier, so it might be a good idea to consider some fleet tracking software to help you monitor the location of your fleet vehicles and to ensure that your fleet are always safe and visible when in use. You can purchase software to manage a small fleet, which is going to help you keep track of things like gasoline usage or vehicular mechanical history. All of this information can help predict issues and help manage each vehicle a little better. These are just some of the ideas that may help you manage your fleet. 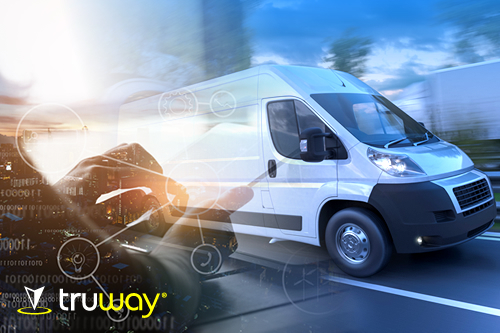 Truway solutions combine custom-built, web-based fleet management software with GPS tracking devices, real-time monitoring and reporting, and cloud-based information management. Learn more about our VoIP service Here!